Hello sweeties! Finally i get back to work (blogging) after the holidays. I chopped my hair off, fixed my damaged hair before flight to Seoul. 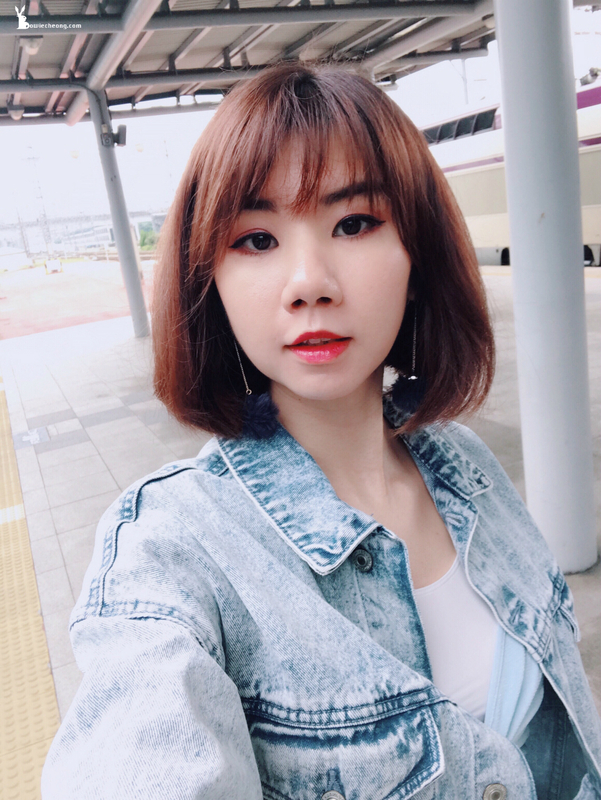 I try to keep my hair longer until shoulder length but i was struggling with my damaged hair quite a while, it's actually not a totally new look because i always cut short to bob hair but this definitely a 'fresh' look of me LOL. I did my haircut, hair treatment and hair colouring at 90's Hairstyle Sri Petaling, all done by my hairstylist Jinnson. 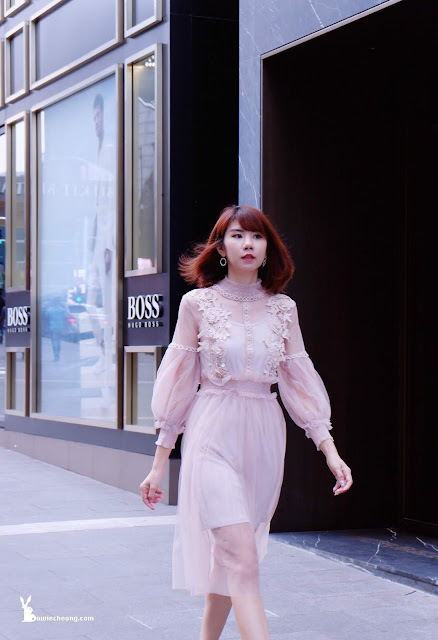 He is a well-meaning person with good skills, you can take into consideration while visit this hair salon. Other than chopped my hair off, I'd dyed my hair too. My current hair color is pink brown color, which is the lightest pink shades that doesn't need to bleach my hair. I like it but because of someone spoiled my hair underneath bottom with high temperature curler, my hair feels like grass and i have trouble straightening the hair as it was too damage. I wish to straighten my hair, this is the easier and faster way right! 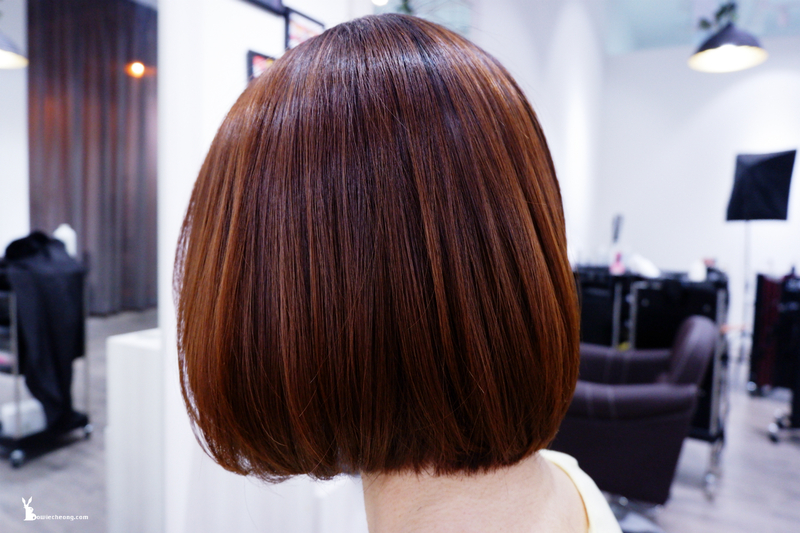 But the result will looks like volume-less and flat, so Jinnson suggested to do Keratin treatment. So far, this is the best treatment i had, i love it so much! Keratin treatment is the "miracle" way to get back my smoother and shinier hair immediately, our hair is made up of keratin, so Keratin treatments will fill in the porosity of your hair, as overly-porous hair causes tangles, frizz, and breakage which is often lost due to age and chemical services. 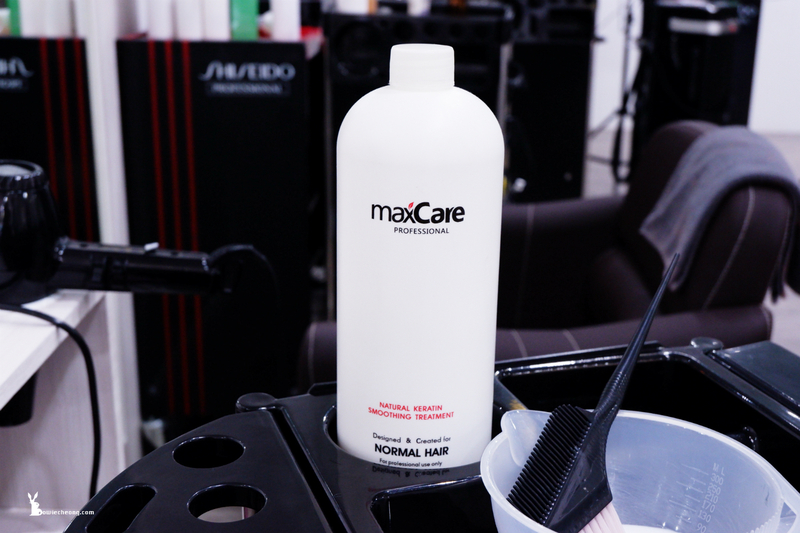 After that, you can expect to see an obvious increase in shine, less frizz, and less tangles. 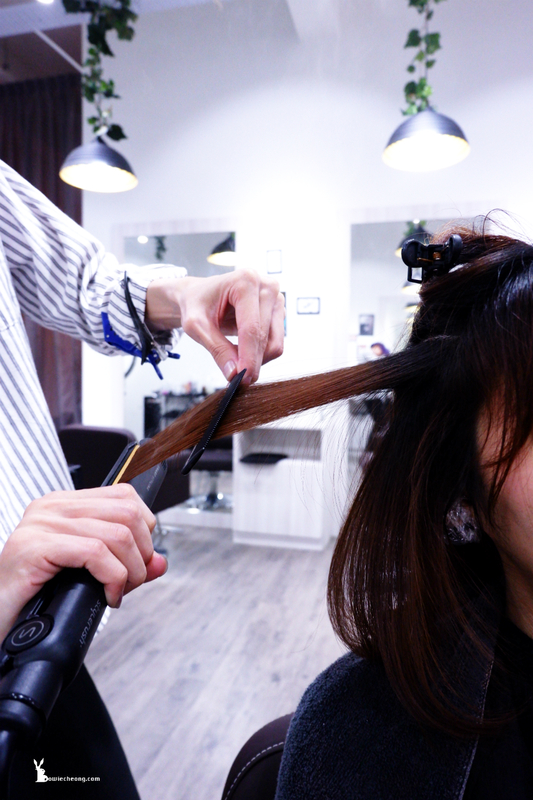 Just make sure you have a consultation with your stylist beforehand to determine the best formula, particularly if you have lighter hair color, as keratin treatment can shift the tonality of hair color. So I've told by Jinnson that i need to do Keratin treatment before hair colouring. Kindly take note that you can't wash your hair for 3 days after the treatment, so i just stay home in these few days as my hair was getting oily after a day. 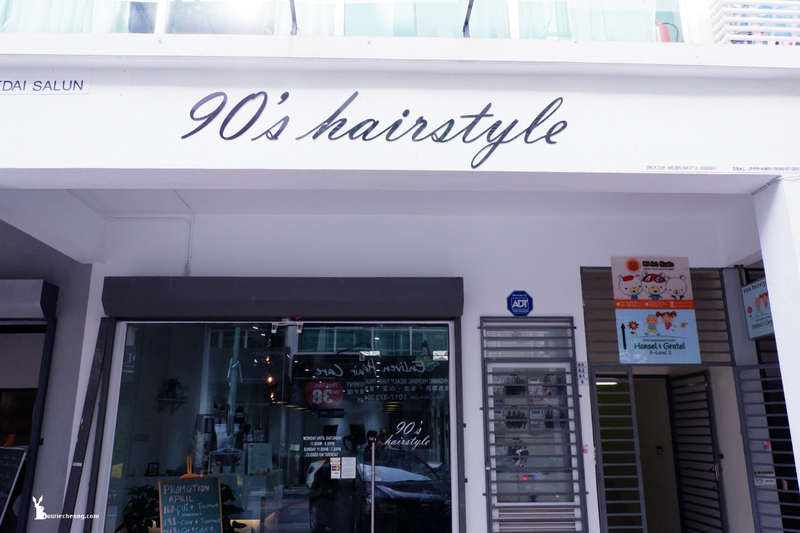 Few days later, i have visited 90's Hairstyle again and this round is for hair colouring and hair treatment. 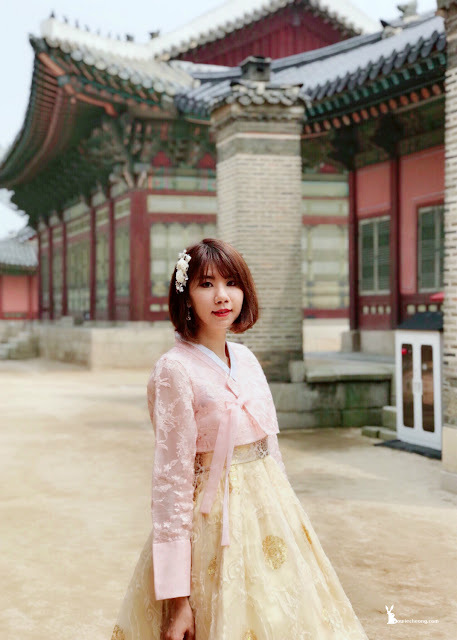 Jinnson recommended that i can go for the natural dark color tone, well~ this is not in my wish list as i want to dye for lighter color such as purple or pink, however i can't bleach my hair so many times (at least need to bleach 2 times). At the end, i choose ash-lavender color. Jinnson bleached my hair with olaplex in order to get this kind of outcome. 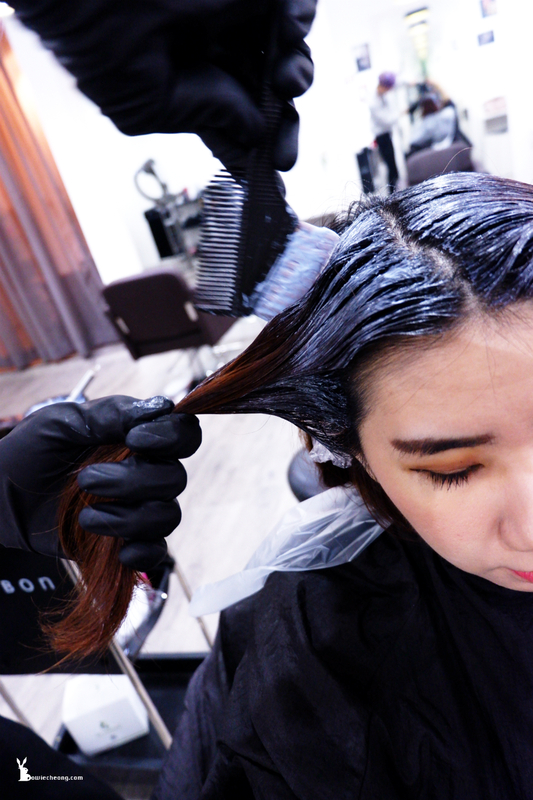 Olaplex has become a go-to for many colorists as Olaplex not only protects the hair from the process to get a desired color without it breaking off, but it also will aid in protecting and repairing broken bonds, leaving hair in good, healthy condition again. 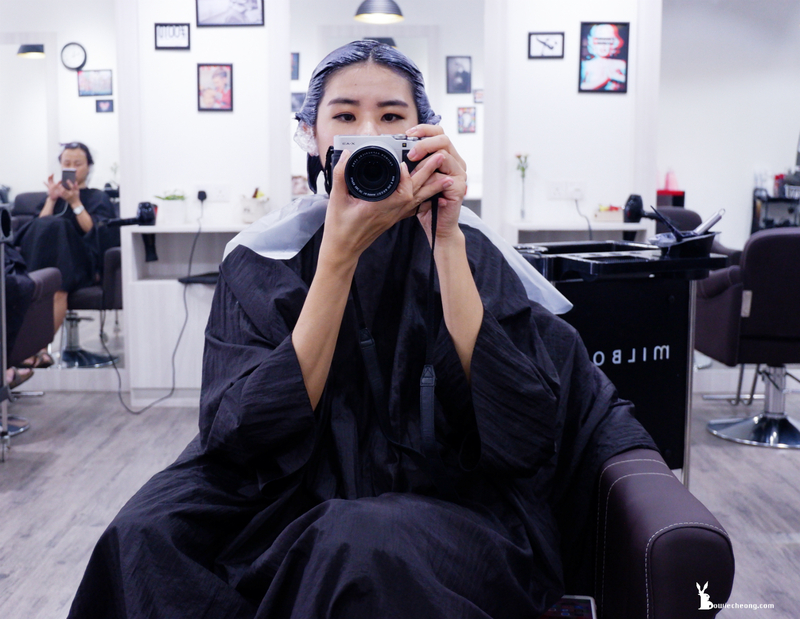 After hair dyed, i had the latest hair treatment from my most favourite brand MILBON! 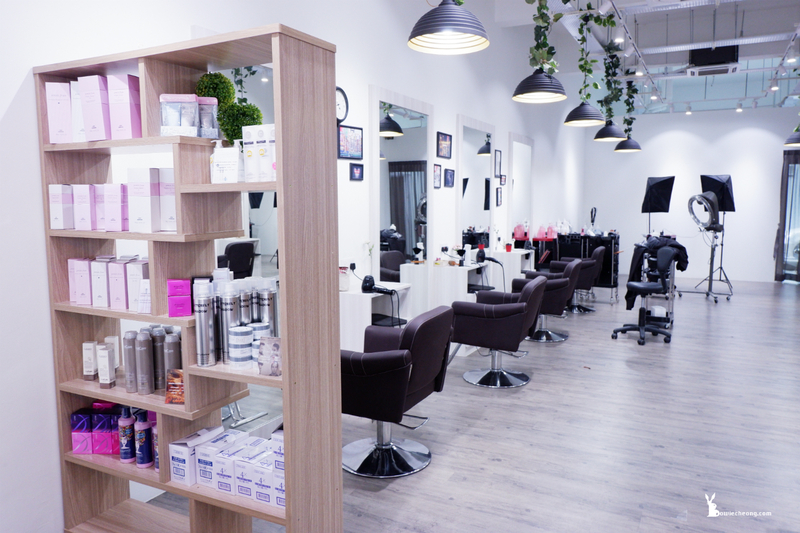 Jemile Fran In-salon Treatment is a treatment designed for busy people like us to create a base of manageable hair to maintain beautiful hair with just blow-drying at home. Woohoo~! Try imagine you just need a rough blow-drying after bath and still, waking up with soft and manageable hair in the morning, it is a bliss indeed. It was a quick and efficient treatment, took about 30 minutes. During the treatment, the scent of Peony flower, peach, jasmine and musk from the treatment that make me feel so calm and relaxing. This is my throwback photo before I visited 90's Hairstyle. And now, my hair condition is getting better, no more tangles during shampoo, i don't need to waste my time anymore to blow dry for 20 minutes just because i want my hair to be smoother. 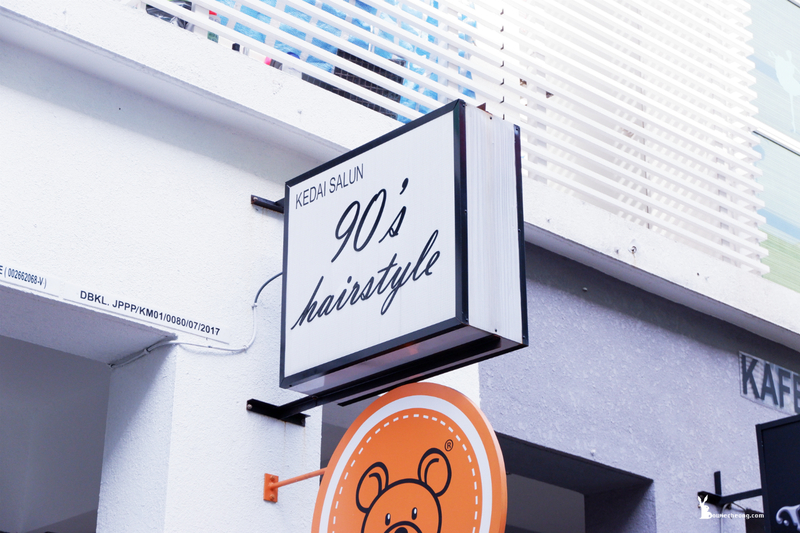 Thanks to 90's Hairstyle for everything, being so nice and take care of my hair. 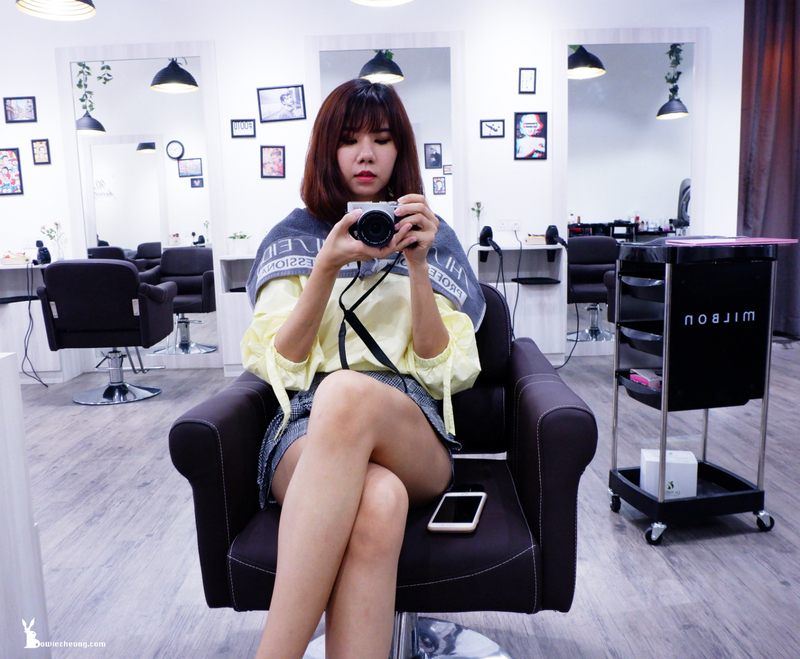 I save a lot of time to style my hair while in Seoul, it make my trips less hassle. 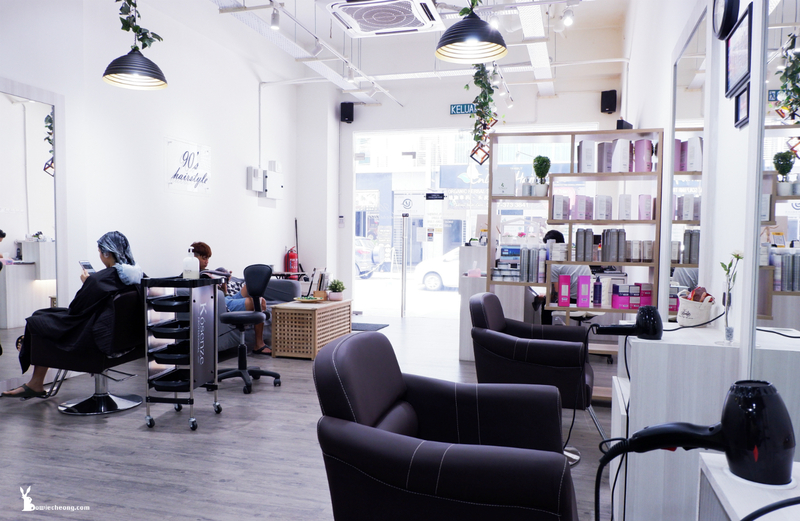 Another reason why i like them is their price is very reasonable, seriously cheaper than other salon and they are using my favourite brand products. That's all about my hair update and can't wait to visit them again next month to pampering my hair. Bandar Sri Petaling Kuala Lumpur, Malaysia.